A 60-year-old man was lightly injured in a car-ramming attack that occurred this afternoon in Gush Etzion. The terrorist was neutralized. Medics treated the injured man and evacuated him to Shaarei Tzedek Medical Center in Jerusalem. The IDF said, "a short while ago a car-ramming attack occurred at the Gush Etzion Junction. 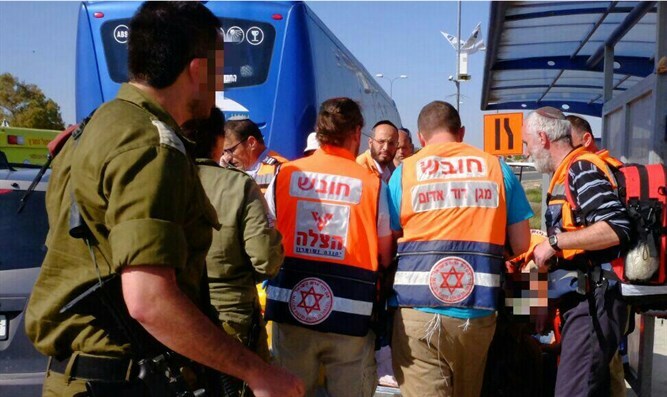 As a result an Israeli citizen was injured and evacuated for medical attention. An iDF force at the scene shot at the terrorist." The Junction has been closed from all directions and a large number of police and army forces are at the scene.